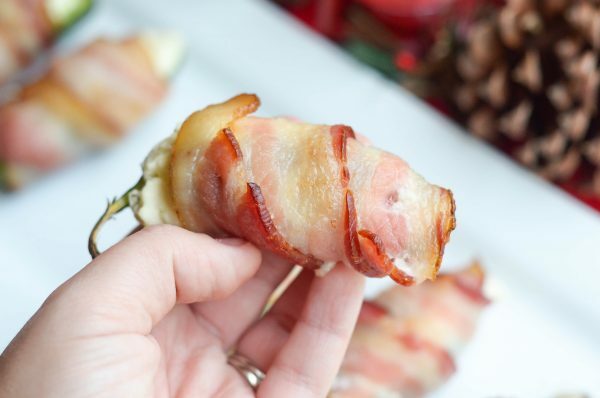 Just in time for the holidays, it’s time for delicious appetizers like these Bacon Wrapped Stuffed Peppers. 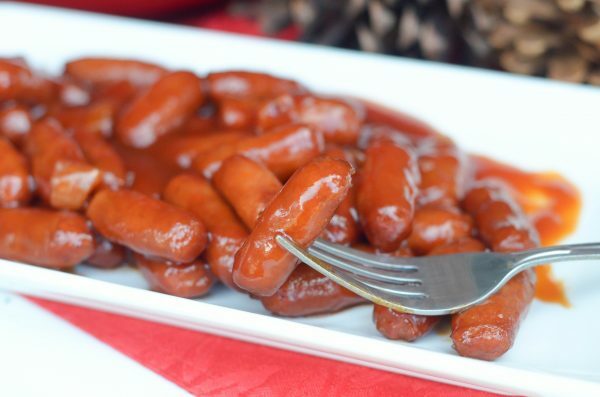 I’m sharing all about these today on the blog, plus a bonus recipe for Tangy Sausages! The holidays are just about here, regardless of how much we want to ‘try’ to avoid admitting it, it’s time to start shopping and thinking about holiday parties. I recently stopped into the store to pick up all the ingredients for Bacon Wrapped Stuffed Peppers & Tangy Sausages. 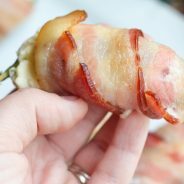 How do you make Bacon Wrapped Stuffed Peppers? I stopped into our local Sam’s Club to pick these up, which was a great choice because I was able to get a 3lb Package! Now, I decided to mix it up a bit and use half of package for Bacon Wrapped Peppers and the other half for Tangy Sausages. These are both perfect appetizers for parties. 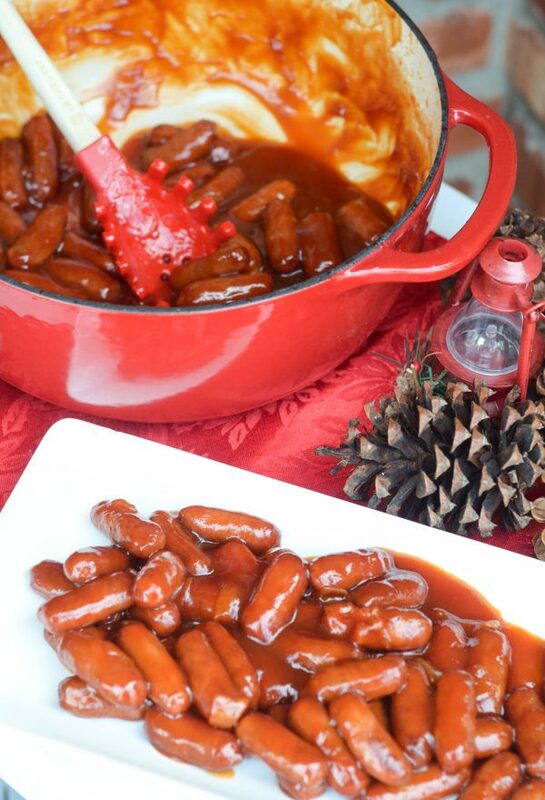 We love hosting parties during the holidays and I’m always looking for new recipes to share with guests. I actually surprised myself with the Bacon Wrapped Peppers, I’m not a big spicy pepper person, but these were fantastic when they came out of the oven. I ended up eating way more than I should admit too; however, word of caution, when you are cutting the peppers wear gloves and be prepared for the sting. That’s right…sting! I think we nearly took out our whole family cutting the peppers because they were so strong, but once they were in the oven and the cheese was added, it helped balance out the degree of heat in them. 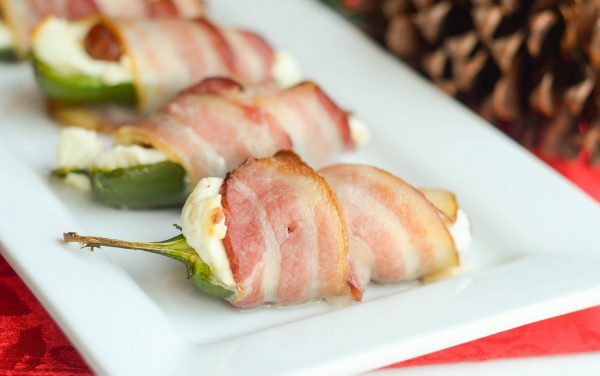 Once I had my peppers cut, I filled them with a Garlic Salt and Cream Cheese mixture, then I wrapped them with a nice slice of bacon. A few toothpicks can hold the bacon in place, and then it’s time to bake them. 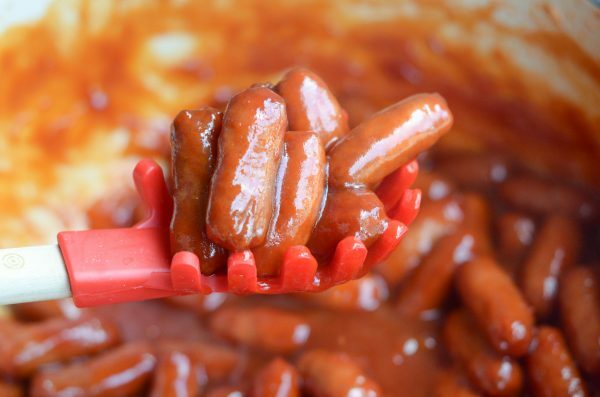 How do you make Tangy Sausages? While those were baking, I was busy making the Tangy Sausages. 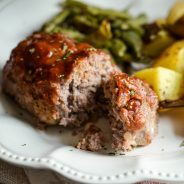 I use the Tangy Sauce that can be found on this Tangy Meatloaf to make these sauces, simply warm up the sauce in a dutch oven or sauce pan and add in the sausages. I whisk together the ingredients for the sauce, then added in the sausage and let it simmer until they were warm. The result was the perfect tangy sausage flavor that paired really well with the peppers too! Now as you get ready to host that party, you can easily impress your friends with these Bacon Wrapped Stuffed Peppers & Tangy Sausages. Place the peppers on the baking sheet. Mix together the cream cheese and garlic salt. 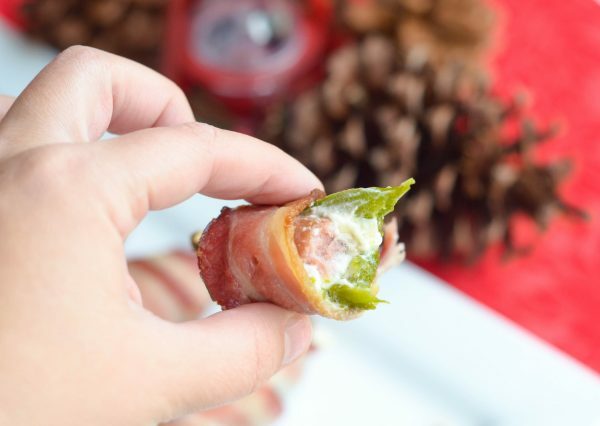 Fill each pepper with the cream cheese mixture, add a sausage, and then wrap a piece of bacon around each pepper. Add toothpicks to secure it. Bake for 15 minutes or until bacon is fully cooked. Carefully remove toothpicks and serve. Totally making these for my boys! They will love them. Such a great idea! I don’t eat bacon but I have to say that these look yummy! 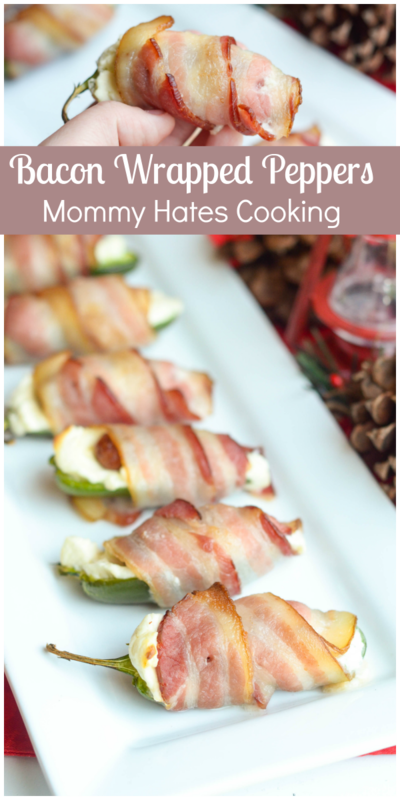 They are pretty easy to make, and I’m thinking they would make a great appetizer for a Christmas party! Bacon everything is good for meat lovers. Get ready for Christmas. Bacon for the guests, on the table. Seriously. YUM! These bacon wrapped stuffed peppers looking amazing! I love shopping at Sam’s Club too! It is my favorite wholesale club. You can get great stockpile prices. These sound absolutely amazing! Anything with bacon just makes life better! 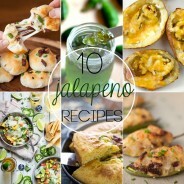 I am definitely planning on making these very soon! These are my favorite things to order as an appetizer at a restaurant. I have never tried making them myself though. You did a great job. YUM! You hit the nail on the head here with 2 of my favorite things. How yummy. 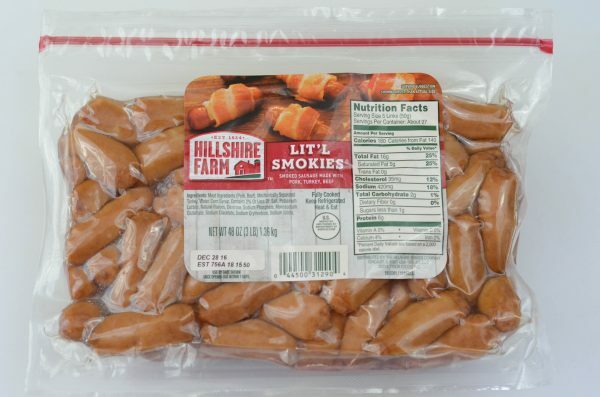 I love to make the peppers and the Lil Smokies. They are very yummy. These look too good! I love bacon wrapped anything haha. 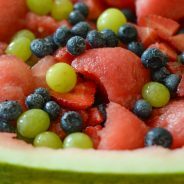 I’ve never tried making these, but I think I need to now! YUM!